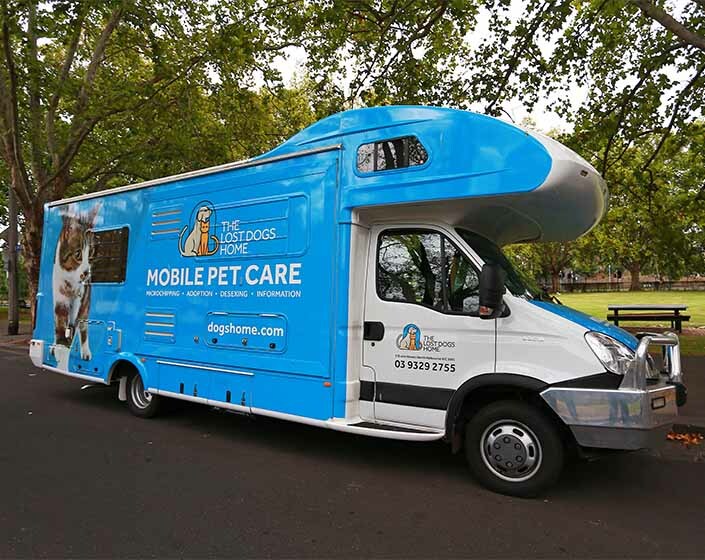 It has been one year since the Home’s mobile pet care unit, MADI, hit the road to offer discounted cat desexing in local communities. We know families adore their pet cats and in many cases, understand the importance of desexing. But, we also know the cost of surgery is not within reach for every family. Using MADI as an outreach tool, we are able to help those who need it most. MADI visited nine suburbs and towns, including Werribee, Sunbury, Broadmeadows, Laverton, Reservoir, Cranbourne, Doveton, North Melbourne and Echuca. Five council partners supported our mobile deseing events in their communities, including Wyndham City Council, Hume City Council, City of Darebin, City of Casey and Hobsons Bay City Council. If you would like to help keep MADI on the road, please donate today. Together, we are improving the well-being of cats and kittens all over Melbourne, one suburb at a time.